Peter Smith examines the recent, groundbreaking judgment of Justice Sir Richard Field in Barclays Bank PLC and others v Essar Global Fund Limited in which, for the first time, the DIFC Courts registered and enforced a judgment originating in the United States. A settlement agreement was reached between, amongst others, the claimant lenders and defendant borrower, Essar, in relation to a series of debts, whereby Essar would pay sums of money by installments. In February 2016, Essar was notified that events of default had occurred under the settlement agreement, triggering an obligation to pay immediately over US$412 million. The claimants applied to the Supreme Court of the State of New York for a judgment by confession, a form of decision available under New York law which allows for judgment to be entered for a sum of money if a defendant confesses it is due in an affidavit and consents to the entry of judgment. Such a judgment is entered by a court upon the filing of the affidavit of confession by the creditor without any adversary proceedings. It is effectively a written statement signed by the defendant accepting liability for damages. A judgment for US$171,769,169 was consequently issued on 25 August 2016 by the Supreme Court of the State of New York (‘the New York Judgment’). Essar did not appeal the New York Judgment. In October 2016, the claimants, through the third claimant, issued their claim form in the DIFC Courts seeking enforcement of the New York Judgment, and subsequently applied for immediate (summary) judgment. Five days later, Essar filed a motion before the Supreme Court of New York to vacate the New York Judgment on the grounds of fraud, misrepresentation and other misconduct. Essar argued that the judgment by confession mechanism was only to be used if there had been a default on the agreed payment programme, which there had not. Essar then filed a second motion before the Supreme Court of New York, alleging it had not been served or notified of the New York Judgment until after the judgment had been entered, and that judgment was issued in violation of the terms of the signed confession. Justice Field was presented with several matters for judgment, of which two – the constitutionality of the DIFC Courts and their jurisdiction to recognise and enforce foreign judgments – were most important. Essar contended that the DIFC Courts did not have jurisdiction to enforce judgments of foreign courts because matters of ‘foreign affairs’ are exclusively reserved to the UAE Federation by Article 120 of the Constitution of the UAE. The Court rejected this proposition. The judge found that ‘the expression “foreign affairs” in [Article 120] and related Articles in the Constitution connote the conduct of foreign policy as between states on the international plane, which is something wholly different from the recognition of a foreign judgment by the DIFC Courts’ (paragraph 32). 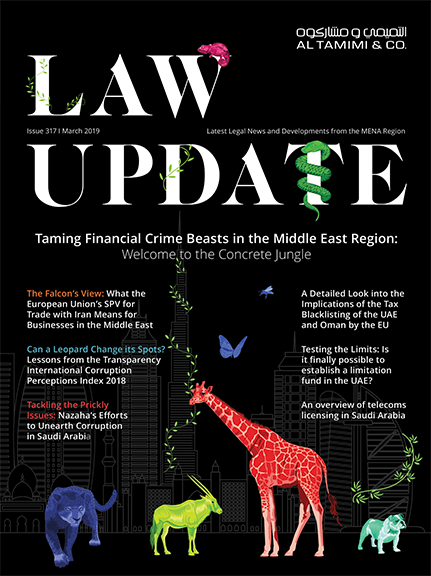 The Court further held that, even if such recognition and enforcement was within the scope of Article 120, an exception existed within the Constitution conferring jurisdiction on the DIFC Courts. It was not necessary to refer the matter to the Union Supreme Court. The judgment of Justice Field concluded that the enforcement of the New York Judgment by the DIFC Courts was not a matter of foreign policy. It was instead founded on a rule of private commercial law and based on a voluntary, private or consensual quasi-contractual obligation assumed by Essar (paragraph 35). Essar argued that the finding of the DIFC Court of Appeal (CoA) in DNB Bank ASA v Gulf Eyadah Corporation & another  DIFC CA 007, specifically that the DIFC Courts have jurisdiction to recognise and enforce foreign judgments, was not essential to that judgment and therefore not binding because the defendant in that case abandoned its challenge to the jurisdiction of the DIFC Courts. Justice Field rejected this argument and held that the CoA decision in the DNB Bank case ‘dealt authoritatively’ with the question of whether the DIFC Courts had jurisdiction to enforce foreign judgments. They were consequently bound to follow this precedent. According to the judgment, it was a ‘necessary inference’ that if the DIFC Courts have the power to execute a foreign judgment under Dubai law, they have the power to enforce that judgment by issuing a fresh judgment ordering the defendant to pay the sums owed under the foreign judgment. The judge gave short shrift to Essar’s contention that because the New York Judgment did not result from adversarial proceedings, it was not capable of enforcement in accordance with common law principles (paragraph 48). He also rejected Essar’s argument that since the New York Judgment could be vacated on motion (application) pursuant to New York civil procedure rules, it could not be enforced as it was not final and conclusive on the merits, being a condition of enforcement. The judge emphasised the common law position that a judgment is capable of being executed upon being issued, whether or not there remains the theoretical possibility of an appeal (paragraph 50). He dismissed assertions that immediate judgment should be refused because the New York Judgment was procured by fraud or in breach of the requirements of natural justice, or that there was a triable issue involving foreign law. Essar had contended that the non-dishonest misleading of a foreign court was sufficient to establish a defence to the enforcement of a foreign judgment. The judge found ‘on the contrary’ that the correct approach ‘requires that the foreign court be misled or deceived with a dishonest intention, this being the hallmark of the common law conception of fraud’ (paragraph 63). There was no triable question of foreign law because the judge was content that the judgment by confession was a final and conclusive judgment (paragraph 70). The DIFC Courts judgment concluded that Essar had no real prospect of establishing any of its defences against the third claimant’s claim and that it was just and appropriate to reach that conclusion without a trial. The third claimant’s application for immediate judgment was granted. It is perhaps surprising that these aspects of the DIFC Courts’ jurisdiction should be seriously challenged by respectable counsel before the Courts today, after considerable debate that has resulted in seemingly settled authority. Nonetheless, the DIFC Courts entertained Essar’s submissions in full, with the judge thoroughly weighing the arguments on both sides before making his findings. This judgment is welcome for the clarity it gives in answer to key questions about the DIFC Courts’ constitutionality and jurisdiction, and it affirms an established precedent in favour of foreign judgment creditors selecting the DIFC as their preferred jurisdiction in Dubai. Al Tamimi & Company’s DIFC Courts Litigation Group regularly advises on enforcement matters. For further information please contact Tarek Shrayh (t.shrayh@tamimi.com) or Peter Smith (p.smith@tamimi.com).